LOCATION: IDANRE, AKURE ONDO STATE NIGERIA. danre Hill is one of the most awesome and beautiful natural landscapes in Nigeria. 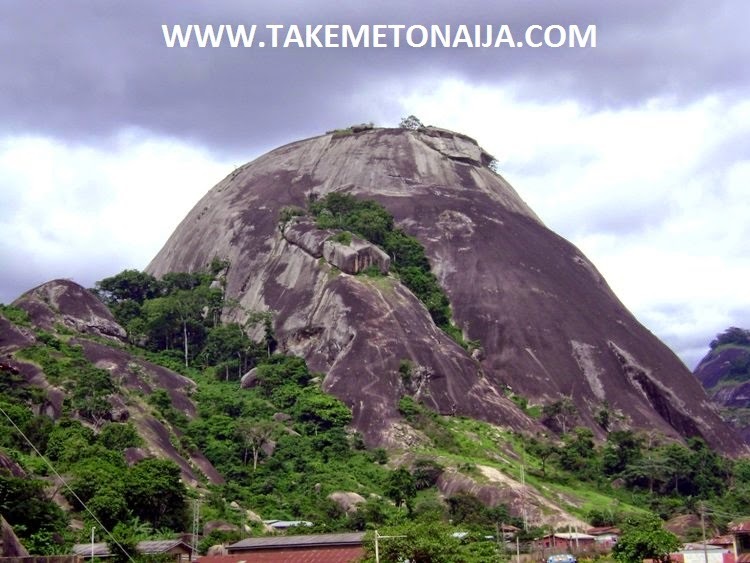 Added to Idanre Hill beauty which fires human curiosity is the fact that the entire people of Idanre lived on these boulders for almost a millennium. Apart from its touristic value, the flora and fauna of the place had been under scientific study for several decades. The topography of the place will be of great value to mankind. Its physical attributes include Owa’s Palace, Shrines, Old Court, Belfry, Agbooogun foot print etc. The ascending the hills of Akure and looking south, one is confronted by stupefying vistas of the surrounding inselberg landscape bedecked with an enigmatic skyline of jagged peaks held in place by gigantic mountains smeared in glossy sheens of grey and silver- a cluster of intriguing inselbergs, towering high into the skies at the distant horizon. They are none but the magnificent Idanre Hills.